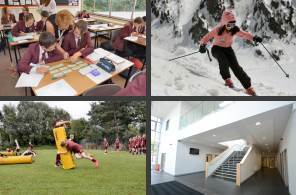 The vision for Tytherington School is to become an outstanding school in which every student realises our aim of Achievement for All. We aspire to be an inclusive learning community encouraging excellence, respect and personal fulfilment. We pride ourselves on providing an education that meet the needs of all students from a variety of backgrounds and with a range of abilities. The government agenda for education focuses on different groups of students and asks schools to identify the progress of those different groups and determine an innovative curriculum and approaches to teaching and learning that will maximise the achievement of individuals within each of those groups. Our inclusive approach aims to provide for different groups such as disadvantaged students, students with Special Educational Needs and Disabilities (SEND), and able, gifted and talented students. Governors have identified the need to provide an enriched curriculum and an ethos of learning that will challenge all of our students to achieve excellence. This begins in Year 7 where potential is identified and challenging targets set for students to aspire to in each curriculum area. To achieve excellence we focus on, share and celebrate existing good practice. We challenge underperformance and support staff and students to recognise how to improve and to implement changes to make progress. Increased awareness of high expectations contributes towards a culture of achievement and success. We are committed to an innovative curriculum and approaches to teaching and learning that will maximise the achievement of our students. We give individuals and groups of students the opportunity to embark on challenging courses as part of academic pathways leading to higher education. Level 2 GCSE and BTEC courses, including the English Baccalaureate, with separate sciences within our science specialism are available when students are ready. Level 3 courses including AS, A level and BTECs are available with group sizes that are economically viable within the current and long-term economic climate.